offered by AriaMedTour at the best prices. If inheritance, age, disease, or bad luck brings you eye deformities, don’t get mad, get even by oculoplastics! At AriaMedTour, we are ready to connect you to the best Iranian surgeons who their expertise is beyond compare. With our all-expense packages, you’ll be able to get your surgery and trip arranged with the least possible price. Oculoplastic surgery in Iran: all you need to know? If you're searching for a place to get a safe oculoplastic surgery done there at a low price, Iran has much to offer. To help you understand what it is like to undergo your surgery in this country, here is all you need to know about oculoplastic surgery in Iran. Oculoplastic surgery or oculoplastics generally covers a variety of surgical procedures and treatments for correction of eyelid abnormalities, tear duct problems, and orbital diseases. So, this surgery addresses the deformities of the structure around the eyes and does not address eyeballs. Cosmetic and reconstructive procedures of the eye fall into this category as well. Oculoplastic surgery is performed on people of all ages for a variety of reasons. Some types of oculoplastic surgeries are medically necessary. For instance, certain eyelid issues affect a person’s appearance as well as his or her eye vision and health. Eyelid surgery or blepharoplasty (removing droopy skin around eyes), tear duct surgery, orbital surgery, entropion, and ectropion repair, pediatric oculoplastic surgery, eyebrow and forehead lift, facelift and implants are some of the main types of oculoplastics. Oculoplastic surgery can restore the fresh-looking eyes you once had. When you want to choose where to get your surgery, you need certain reasons for selecting a country like Iran. We're writing this section to give you those reasons. Iran is ranked among the top ten plastic surgery destinations in the world. The country is crowned as the nose job capital of the world. The plastic surgery per capita rate in Iran is 2 to 7 times greater than in the US. In the field of oculoplastics, Iran enjoys a huge pool of ophthalmic plastic and reconstructive surgeons who are second to none in the world. Iranian plastic surgeons are all board-certified, and many of them have attended top medical universities in western countries to earn their fellowships. 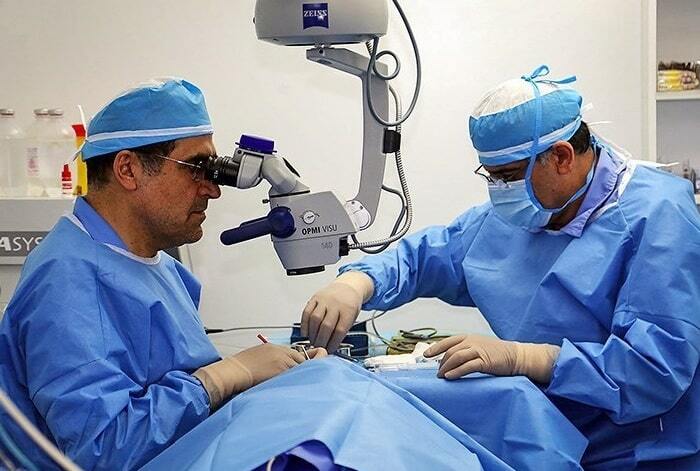 Fortunately, Iranian surgeons possess vast knowledge and experience in many medical fields, including eye care, oculoplastics, and orbital surgeries. Different types of oculofacial plastic surgery, eyelid, orbit, tear duct treatment and facial cosmetic and reconstructive surgery in Iran are performed daily with very satisfying results. Oculoplastic surgeries in Iran are currently offered in some of the most advanced clinics and hospitals of major cities like Tehran, Shiraz, Mashhad, Isfahan, Tabriz, and Kish Island. Furthermore, Iran offers high-quality treatments at a fraction of the price of similar treatments overseas. People save from 30% up to 60% by getting their oculoplastic surgery in Iran. In the field of oculoplastics, Iran enjoys a huge pool of ophthalmic plastic and reconstructive surgeons who are second to none. 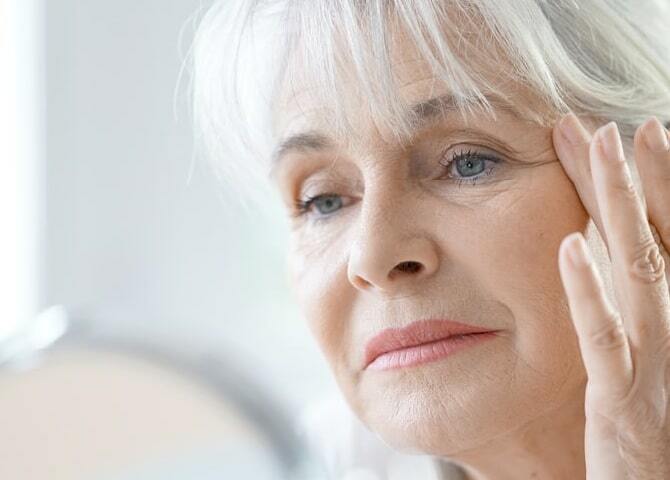 They include laser skin treatments, chemical peel techniques, home skin care regimens, and facial filler injections with the intention of reducing facial wrinkles. They consist of a wide range of procedures, including eyelid surgery for removing excess skin, muscle or fat, eyelid reconstruction for eliminating eyelid tumors, eyebrow and forehead lifting, facial rejuvenation, and implants. It also involves commonly performed oculoplastic treatments which correct eyelids that fold inward or outward and procedures that correct drooping of the upper or lower eyelid. In addition, oculoplastic surgery includes procedures addressing tear ducts which restores the flow of tears, also, orbital surgery for managing eye disorders and traumas. How is oculoplastic surgery done in Iran? Most oculoplastic surgeries can be performed under local anesthesia and some with intravenous sedation. 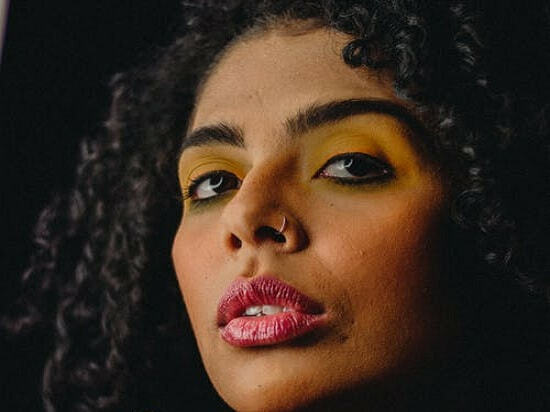 Depending on the type of surgery, an oculoplastic surgeon starts with making one or some small incisions in different areas of either face, eyebrow or skull. For instance, eyelids surgery is done through lines of eyelids. Tear duct surgery is done through the nose or in the corner of the eye. In the next step, the surgeon may separate the skin from the underlying tissue to remove the excess fat, skin or muscle. In case of tear duct surgery, a small opening is created from the blocked tear nasal duct, directly into the nose. For eyebrow and forehead lifting, the incisions are made in the scalp to remove the excess fat. For facial lift, the incision is made around the ear for accessing the muscle, then the skin is lifted and the underlying muscle and connective tissue are repositioned and tightened. The situation is more complicated for orbital surgery. Occasionally, large incisions are needed and may result in visible scars. Engaged or damaged tissues are removed as necessary or repaired carefully while eye function and vision are preserved. After the positioning and alignment were done in all sorts of oculoplastics, if needed, the sutures or metal clips are placed. 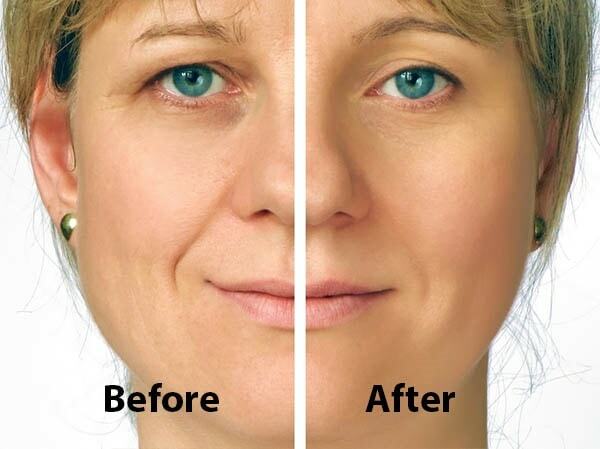 See how oculoplastic surgery can change the way you look! Because some of the oculoplastic surgeries are quite expensive, it is important that the patient be thoroughly explained to about the benefits of the treatment. Oculoplastic surgery in Iran costs around $1,500-$4,000, depending on the type of surgery and patient's condition. This fee includes cost of anesthesia, clinical fees, the operating room, preparations costs, medication needed during and after the procedure and finally post-op appointments bills. The necessary time to recover from oculoplastic surgery depends on the type of procedure performed and can vary for each person. Generally, the recovery takes about 7-14 days. You may experience some level of pain, discomfort, bruising, and swelling during the recovery time. Your vision may be blurry for the first few days after the surgery. In general, the recovery is usually not extensive. Oculoplastic surgeries are free of complications, and most patients have reported little discomfort. Do you know how much your eyes contribute to your beauty? Avoiding exercising or heavy lifting for at least one week after the surgery. Is oculoplastic surgery covered by insurance? Costs of many oculoplastic surgeries are not covered by medical insurance as they are not considered as a medical necessity. Nevertheless, eyelid surgery may be covered by health insurance if there’s a medical condition such as if eyelids impair a person’s vision. Oculoplastic and orbital surgeries are performed under anesthesia. The patients, hence, won’t feel any pain during the surgery. However, they may experience mild to moderate pain for a few days after the procedure. The surgeon will prescribe pain medication and Acetaminophen based on the treatment for any discomfort. Does oculoplastic surgery has risks? Oculoplastics involve some minor complications like swelling and bruising which will subside gradually. Other complications are asymmetry, scarring, lateral tissue sag, corneal injury, orbital hemorrhage, and postoperative ptosis. By the way, these complications rarely happen and can be managed when observed.